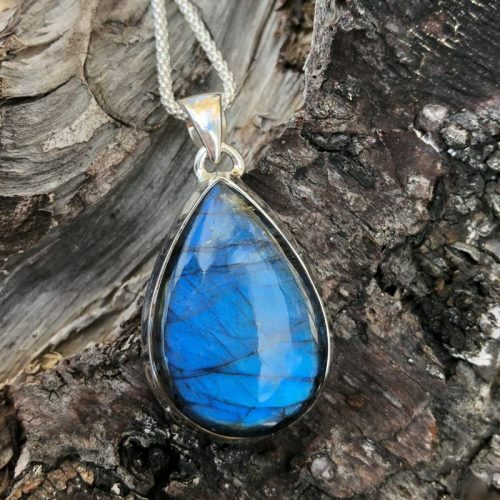 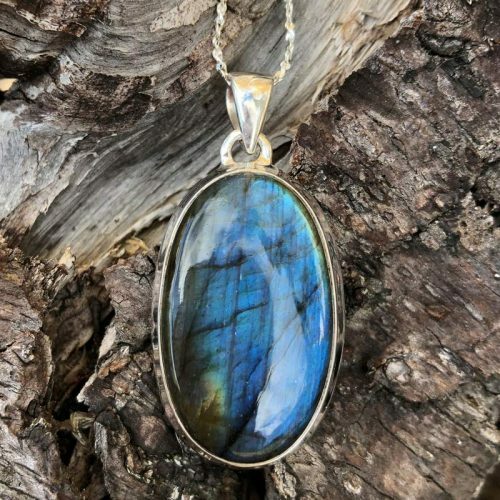 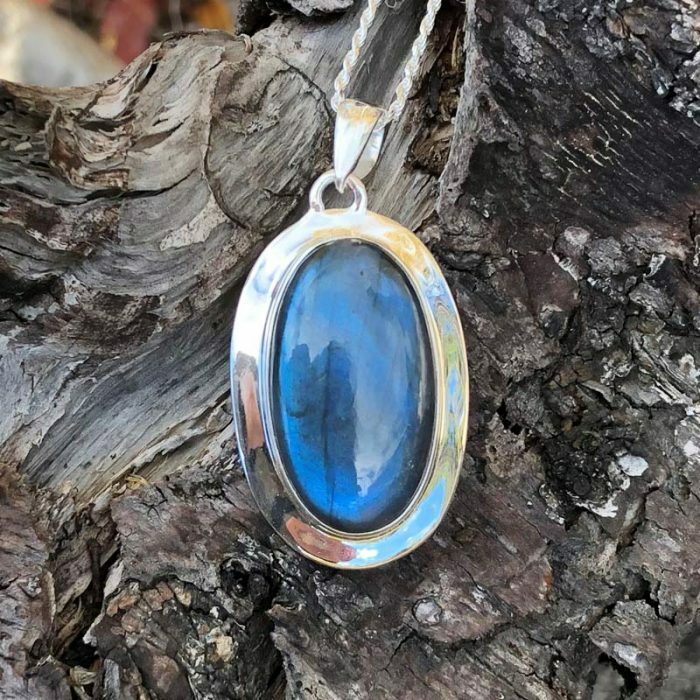 Stunning Labradorite pendant set in sterling silver. 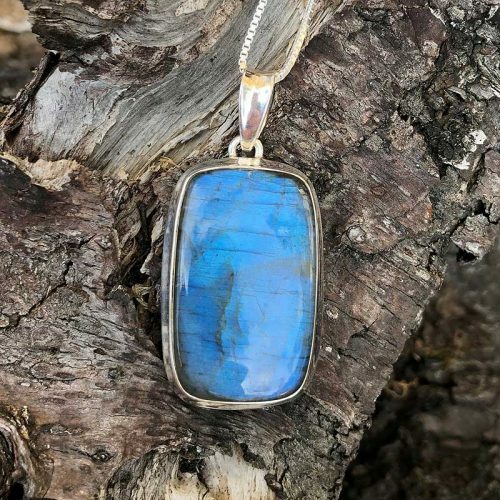 Includes a 24″ sterling silver rope chain. 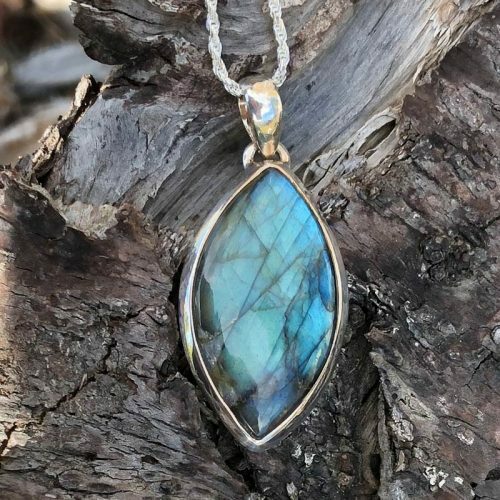 Approx 2″ long by 1″ wide.